The Acuras got a break for a few days! The ILX was parked at the Phoenix airport since Thursday night. 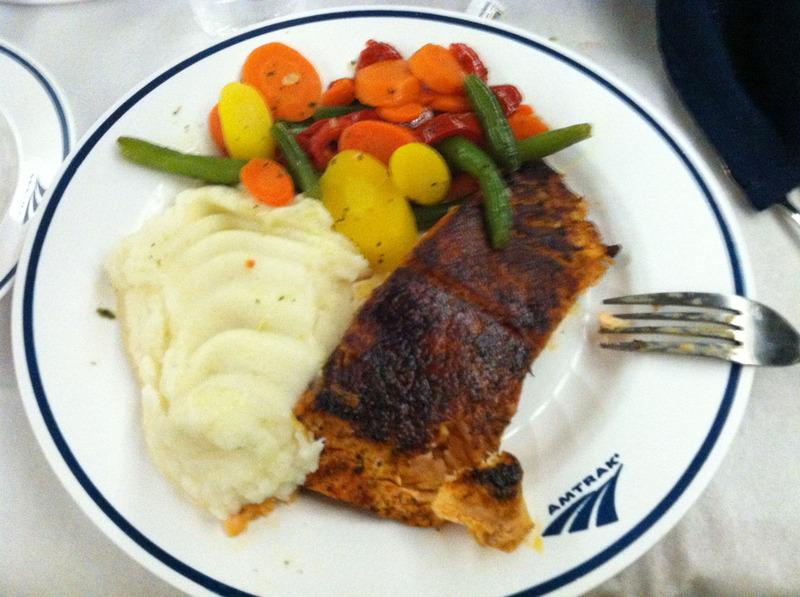 Some may remember this September’s “Planes, Trains, & Automobiles” trip that involved a Southwest Flight, an Amtrak ride, and an ILX drive. Well, I’ve done it again. 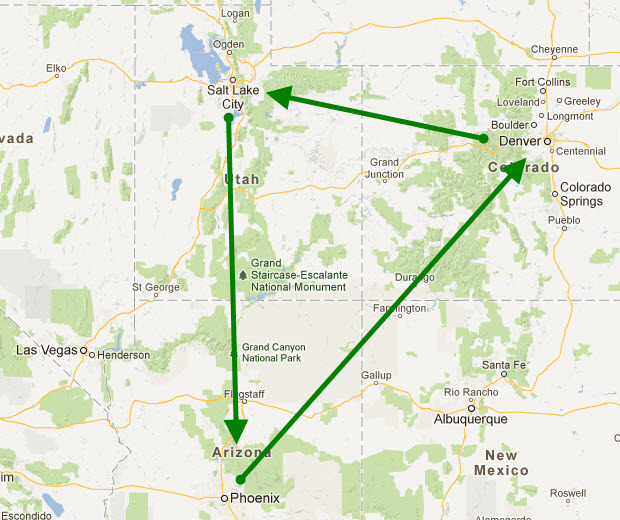 This weekend, I flew from Phoenix to Denver, rode a train from Denver to Salt Lake, and flew from Salt Lake to Phoenix. 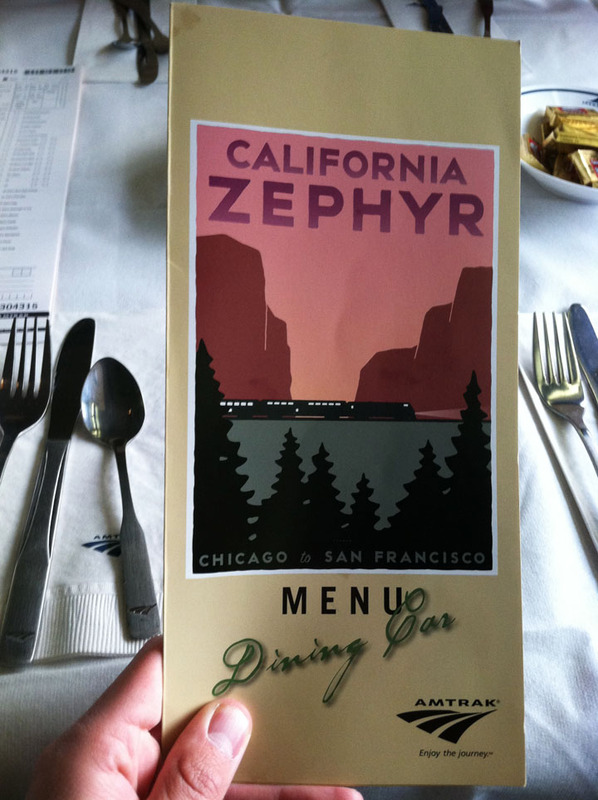 Amtrak’s California Zephyr is a 2,400 mile rail line that goes from Chicago to San Francisco, but I only covered a 15-hour, 570-mile section of that. Here’s what the entire weekend’s route looked like, starting at the lowest point in Phoenix. Thanks to our gracious Denver host Ryan (and his pup Charles) for having us in his nice 1900 home and shuttling us to the Amtrak station on Friday morning. Check-in and seat assignments (seats 37 & 38 were our homes) took just a couple of minutes. 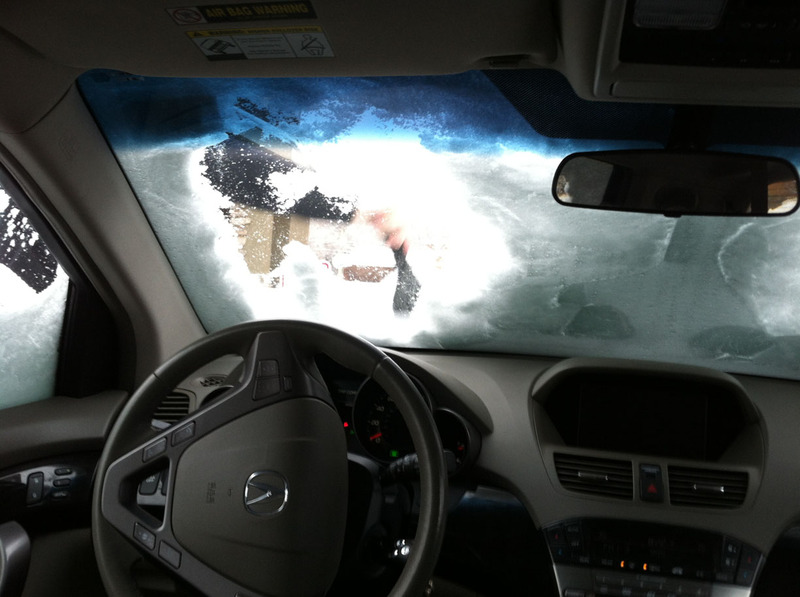 Our print-out was scanned, we were directed to car #511, and we stashed our gear onboard. 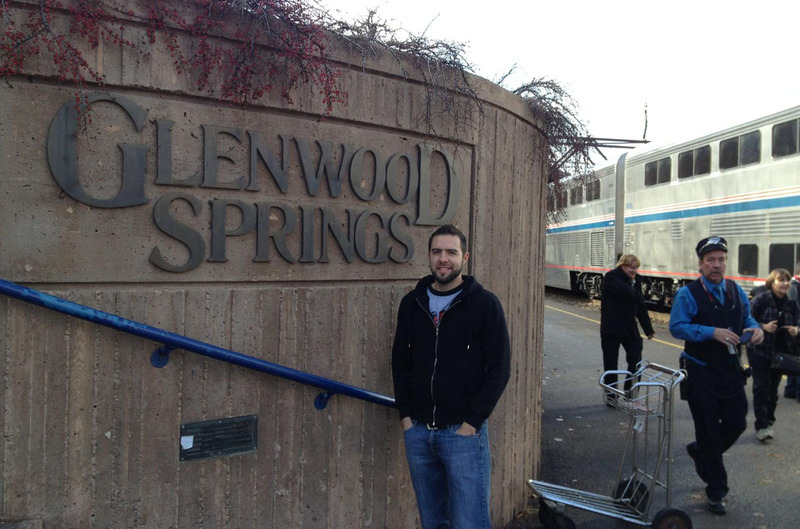 Here I am standing in front of 1 of the 2 GE Genesis Series 1 diesel locomotives that dragged us to Salt Lake. This one was manufactured in June of 1997 and has 4,250 horsepower. I wonder how many miles it’s traveled in 17 years? First order of business once onboard was getting some breakfast! 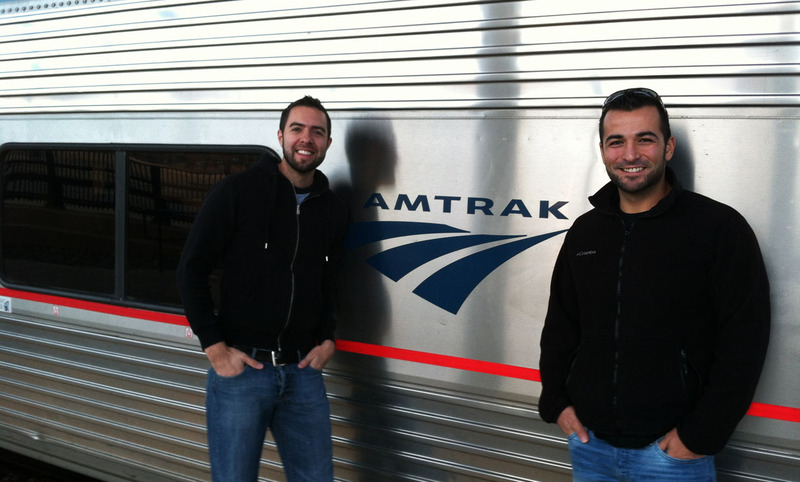 One of the great things about train travel is the sense of community & friendliness onboard. 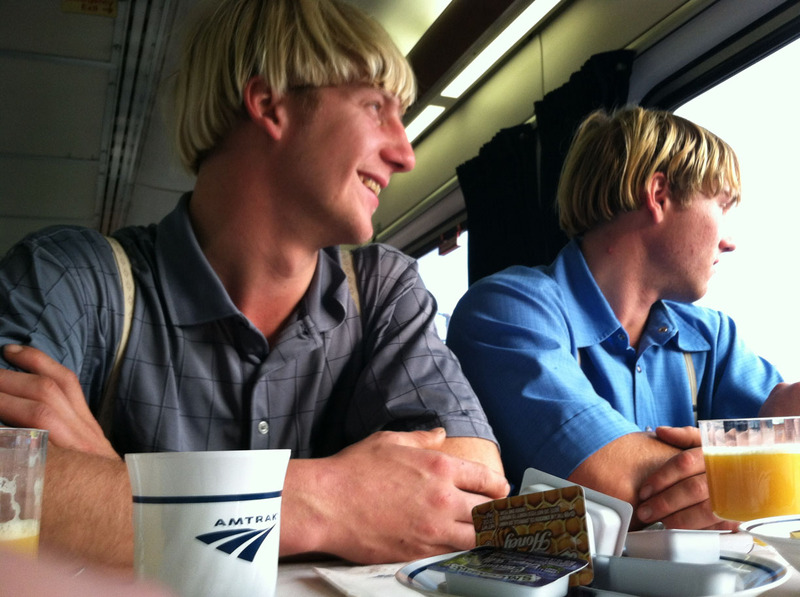 Matt and I were paired with a couple of nice guys at our breakfast table in the Diner Car. Merv (22) and Amos (21) had been onboard for a couple of days already – they’d started in Delaware and were heading to Emeryville, CA (San Francisco Bay Area) and then taking a shuttle to Tijuana, Mexico. Merv and Amos are from an Amish community in Lancaster County, Pennsylvania. 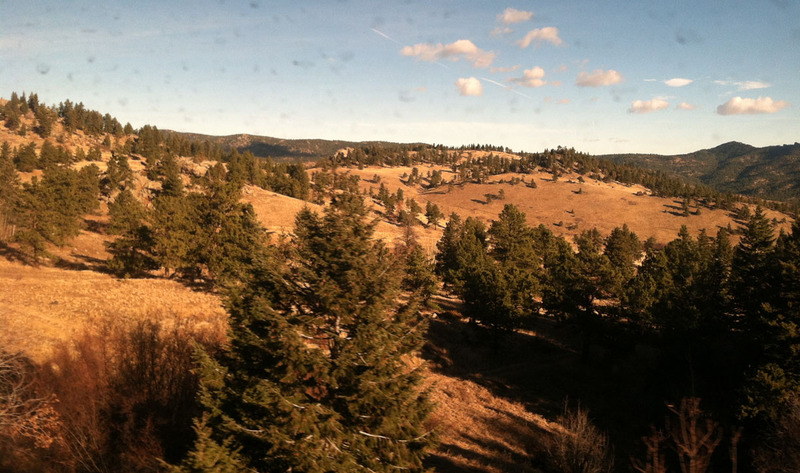 The farthest west they’d traveled until that day was Nebraska – with wide eyed wonder they took photos out the windows of our car as we rolled along the Rocky Mountains. The two of them looked like they could be related but told us they were just friends. They’re traveling with 14 other people and the trip will take them 2 weeks to complete. My perceptions of the Amish as a technology-averse population were quickly abolished when I saw Merv pull out his cell phone that looked like its capabilities could put my iPhone 4 to shame. Our train’s conductor told us about the upcoming route via the PA system. 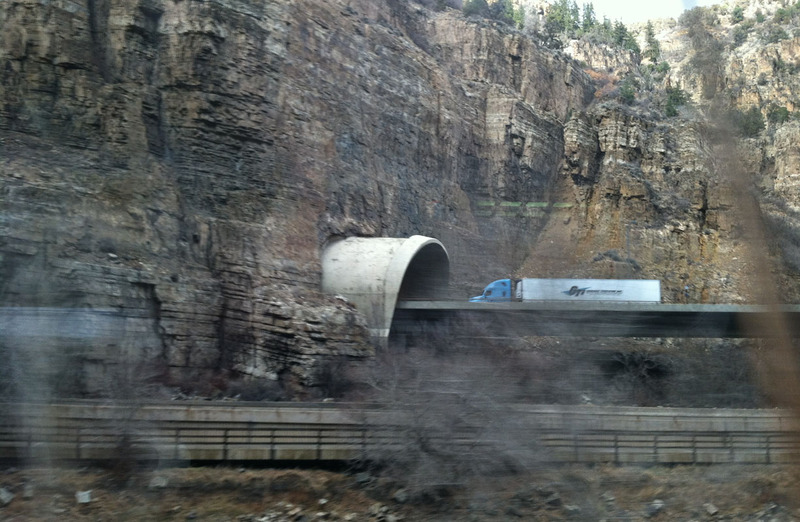 We’d be passing through a total of 42 tunnels throughout the day – 27 of which would be in a 30-minute window of time. 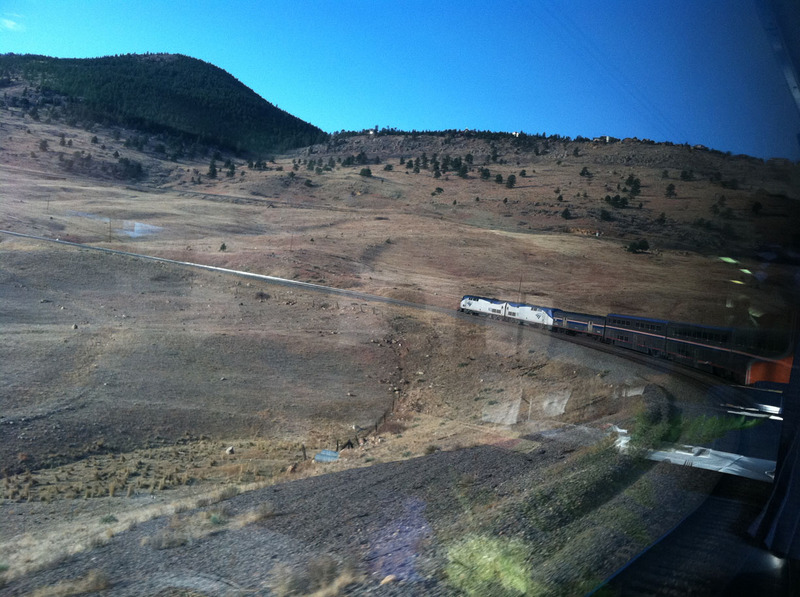 As we made our way west from Denver, the train slowed to 35-40 mph at times on some of the tight corners. View from the lounge. We spent most of our time in here. The seats face outside and there are ceiling-to-floor windows. 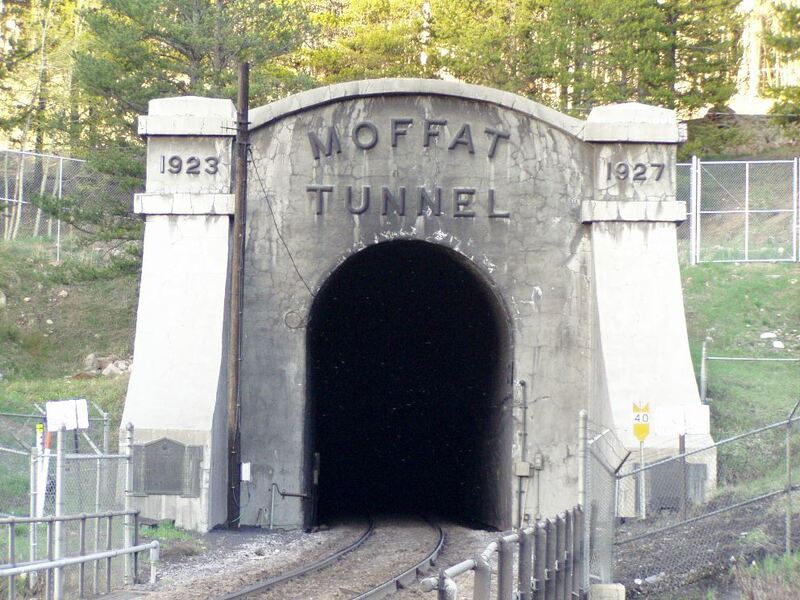 One of my favorite features of this train ride was getting to travel through the Moffat Tunnel. This 1928 passageway is just over 6 miles long and lies at the Continental Divide west of Denver. When it was completed, it saved 154 miles of travel distance because before that the tracks had to go south and around the mountain range. 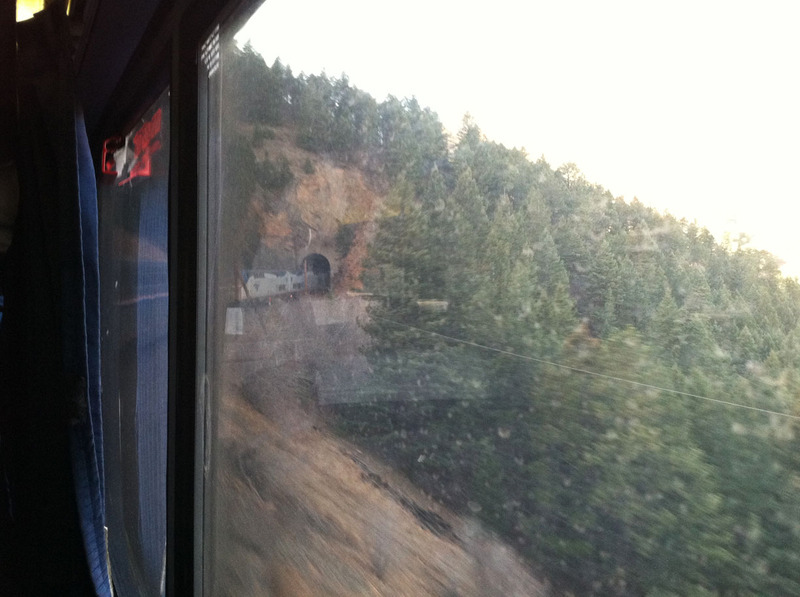 The Moffat Tunnel’s summit (at 9,000 feet) is the highest elevation of any Amtrak train in the U.S.
Here’s another tunnel we went through. 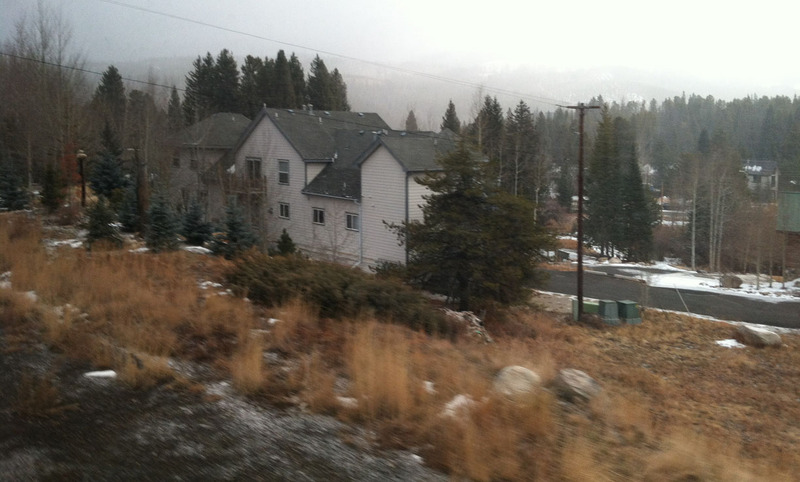 At higher elevations, the weather outside turned colder and there was snow on the ground and in the air. 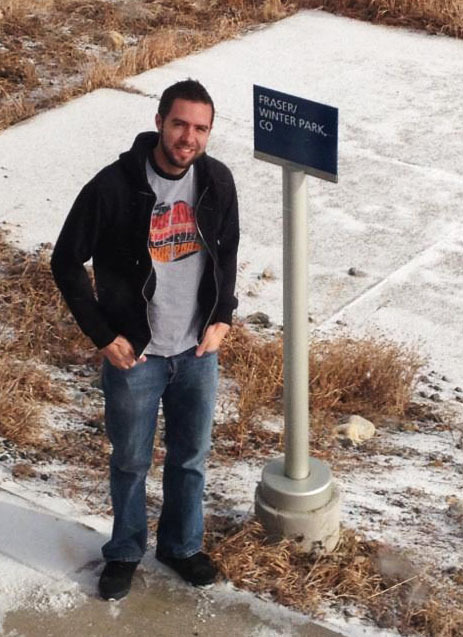 I took the chance at Winter Park, Colorado, to step outside for some fresh (cold!) air. 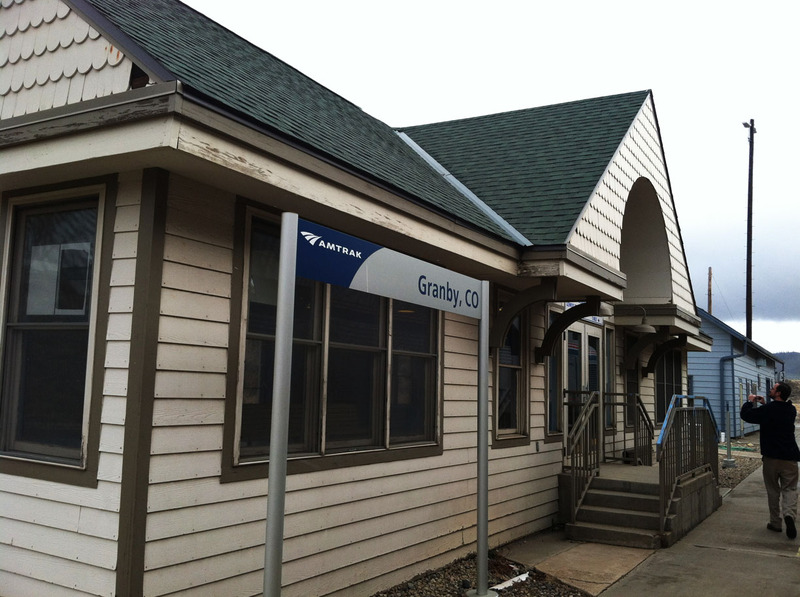 And again at Granby, Colorado as we worked our way through the Rockies. Some other folks from Merv & Amos’ party joined on the platform as we waited a few minutes before heading out again. Back underway, we start to parrallel the mighty Colorado River. Lunch was an $11 penne pasta special with meatballs. We were seated with Claudia who hails from Berkeley. 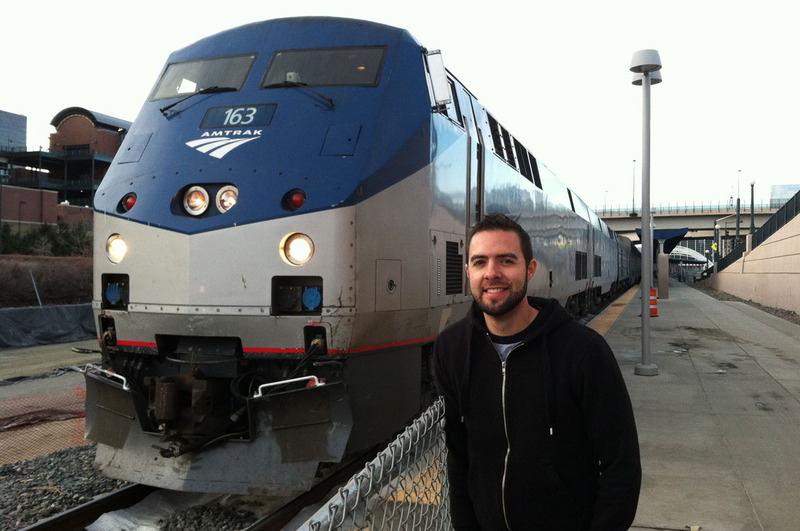 She was riding Amtrak because she doesn’t like to fly – and who could blame her? The views of the iron red cliffs with a dark green river in the canyon alongside us were better than any restaurant could offer. The conductor again alerted us to some trackside vistas – above us on the cliffside our sights were directed to a small cut-out road high in the mountain. “Dead Man’s Curve” is a particularly tight corner that has claimed the lives of many. 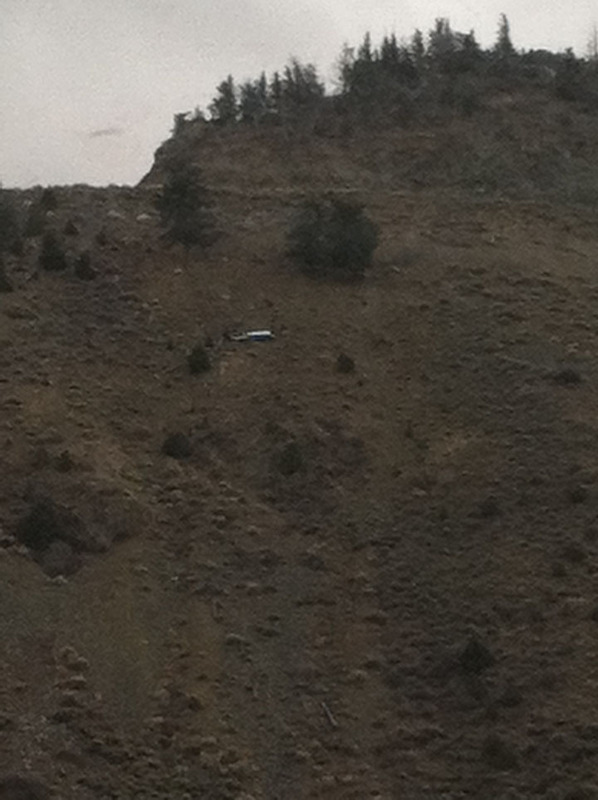 One blue station wagon lies halfway down the hill – it’s sat there since the 1950’s as a reminder of just how dangerous that highway is. See that speck in the middle of the picture here? There’s the wagon. As we crept closer to the western border of the state, we parralled Interstate 70. We spent a good chunk of the afternoon in a 2 hour “black hole” of cell phone service. 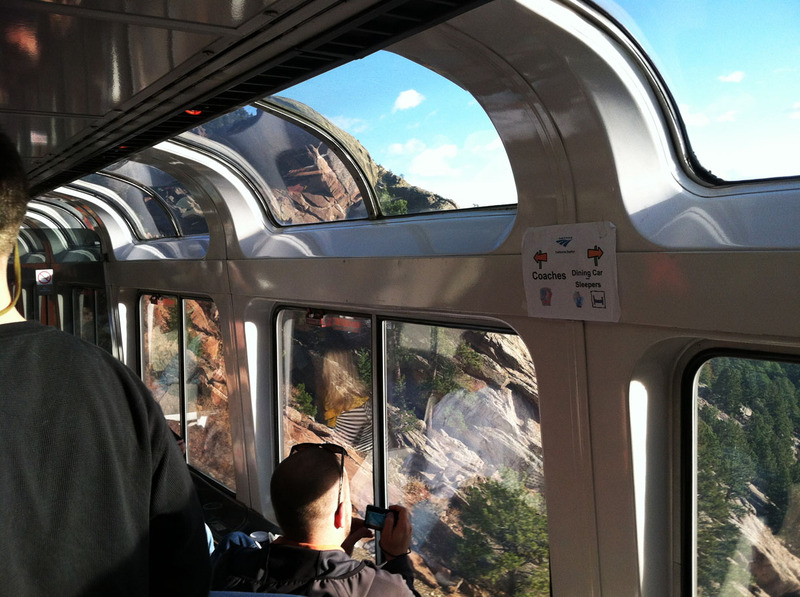 It was a great excuse to turn off our phones and enjoy the scenery as it passed us by. 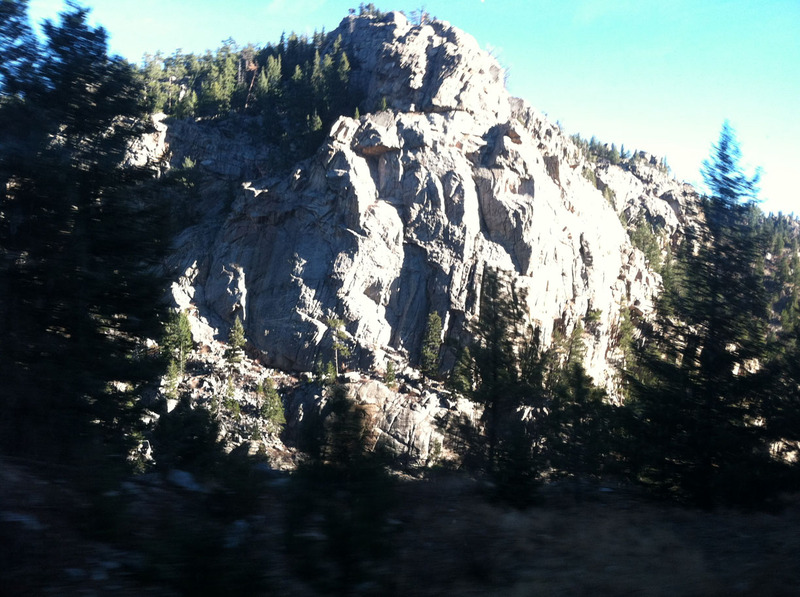 As we approached “No Name, Colorado,” I was amazed at the construction of Interstate 70 that weaved alongside us. This is reportedly one of the most expensive stretches of interstate that’s been made. Here’s video showing a small piece of it – notice the eastbound and westbound lanes are on split levels. 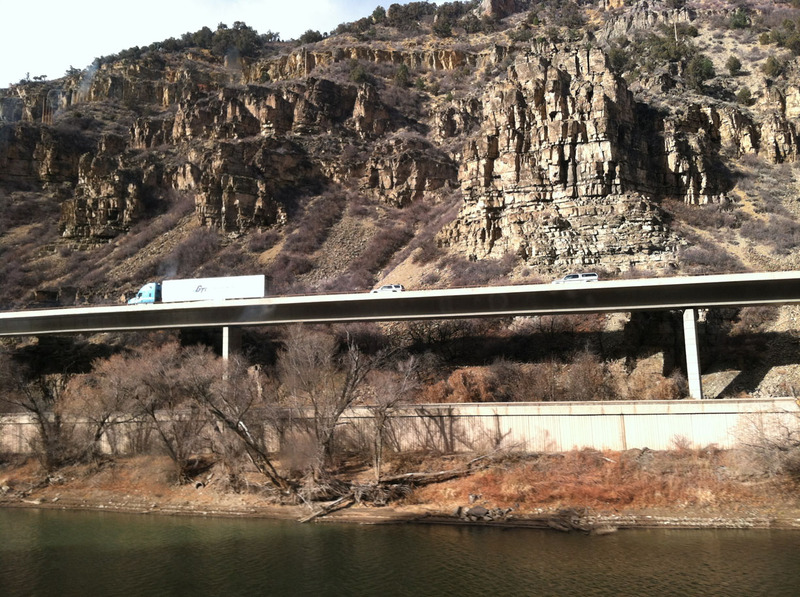 Glenwood Springs, CO – our next stop. 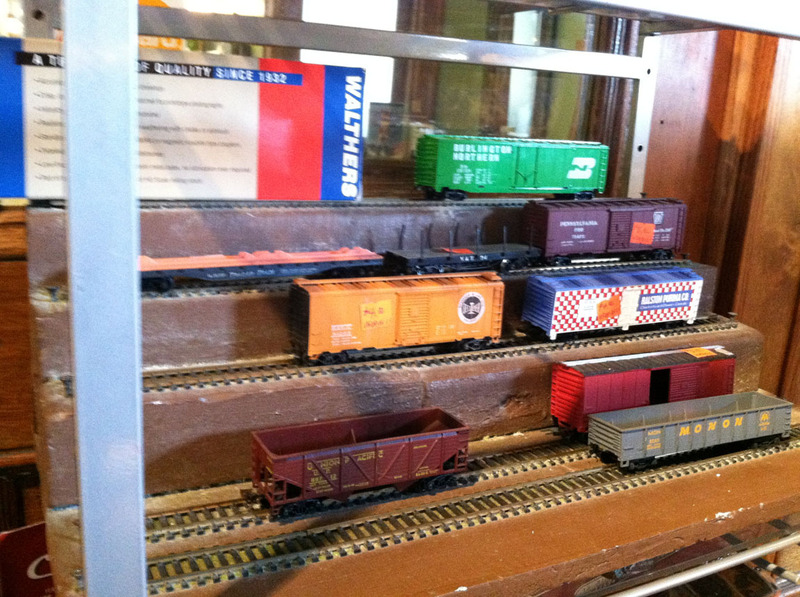 This one was complete with a gift shop inside the station and a museum with model railroads on display. 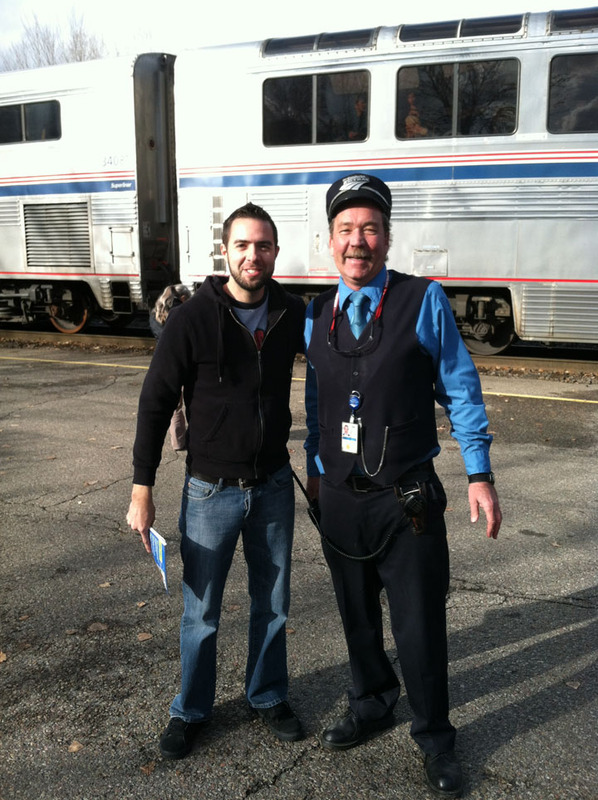 Here I’m pictured with our conductor, Doney Stewart who loves his job! This is what the accommodations look like in Coach. The seating arrangement here is actually better than most first-class airline accommodations. Footrests, reclining seats, TONS of leg room, an abundance of overhead storage space, and plugs for our electronic devices! This is the life. 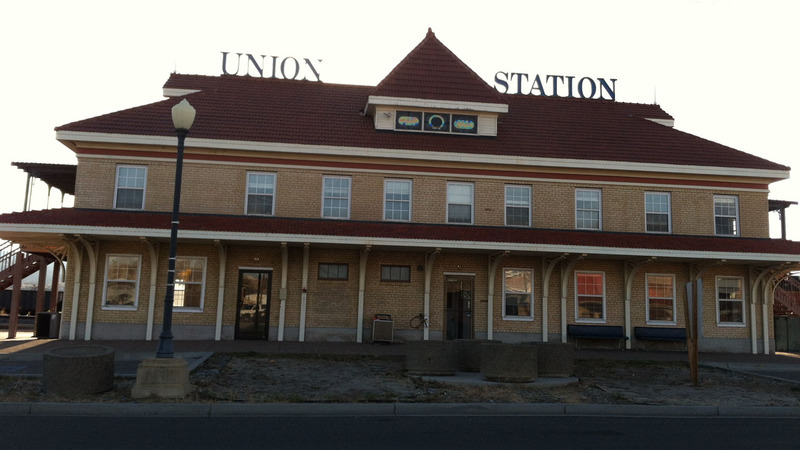 Union Station in Grand Junction was a memorable site. 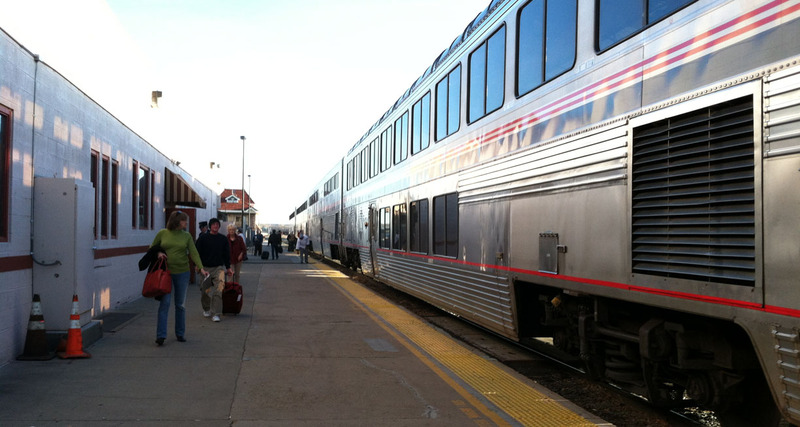 Running ahead of schedule, we had 30 minutes to spare while new passengers boarded and remaining passengers took their smoke breaks. Two run-down building relics stood as memories of what was probably at one time a thriving railway station. 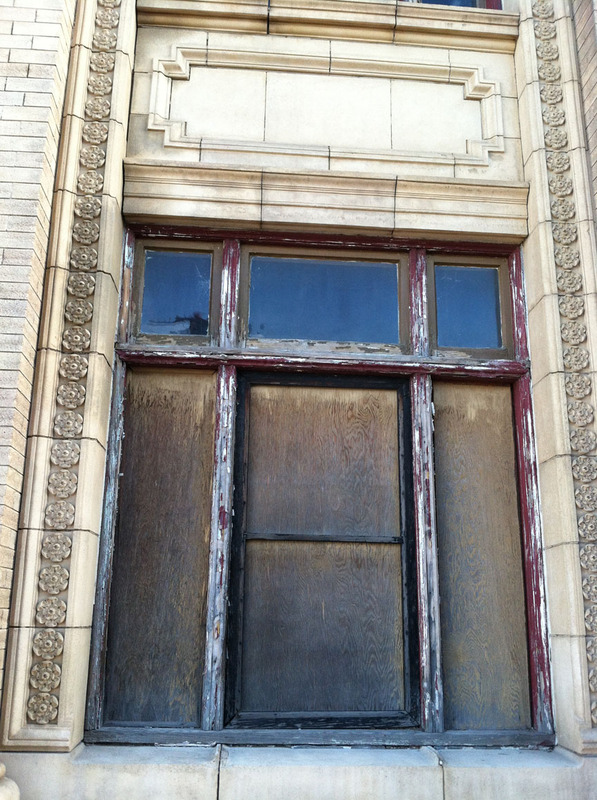 Most of the windows were boarded up but we were able to peek inside and get a look at the interiors. 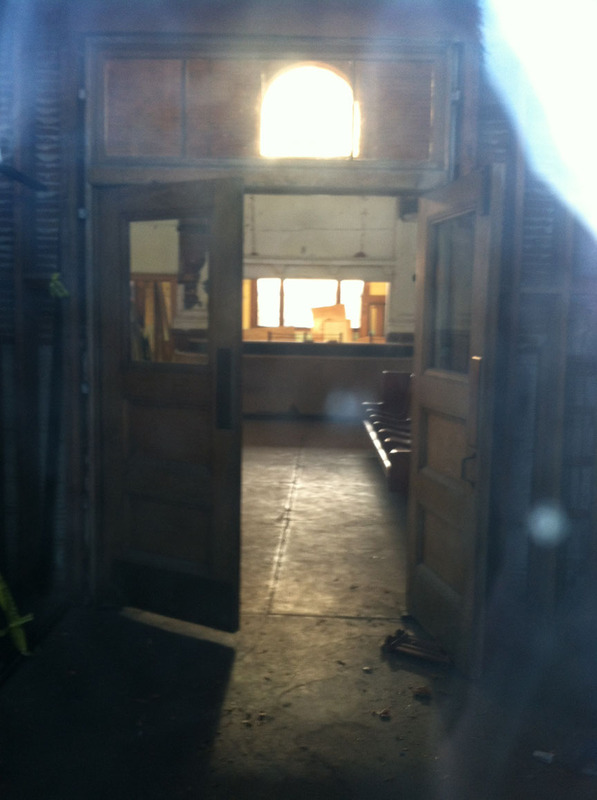 I was able to peek through an opening in one window at the interior of the station. 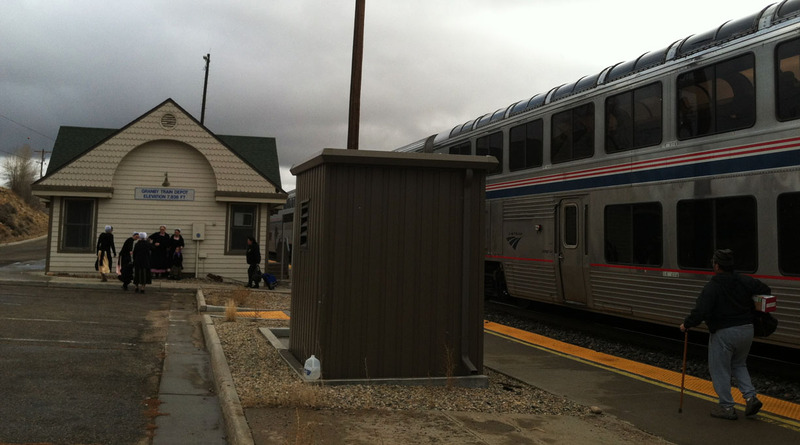 Old boxcar on display in Grand Junction. There was a shift change with our engineers and the new guy was a living deck of Trivial Pursuit cards. 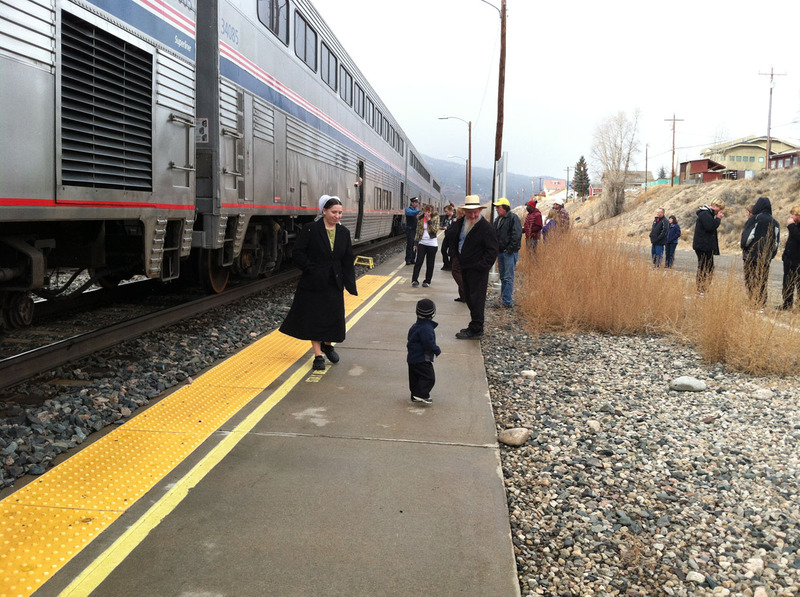 With each noteworthy railside attraction the conductor would come on the intercom and tell us what we were looking at. 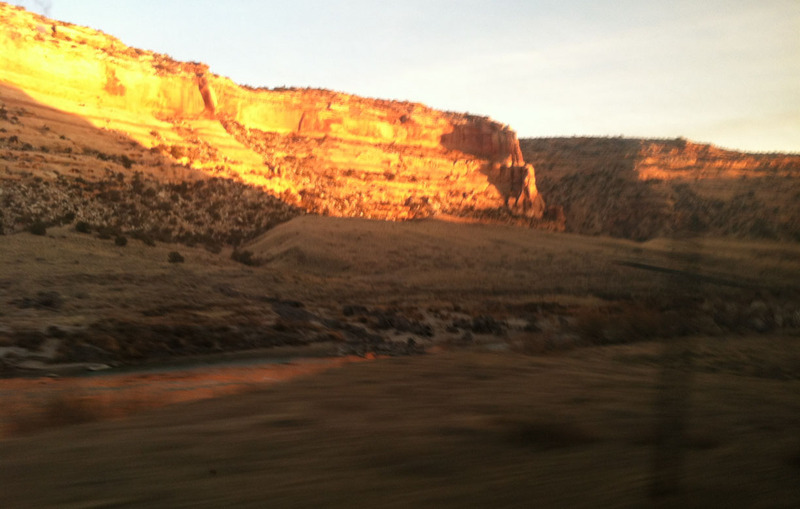 “Ruby Canyon,” known for its red sandstone rock formations and the jewel green river, was an amazing sight at sunset. 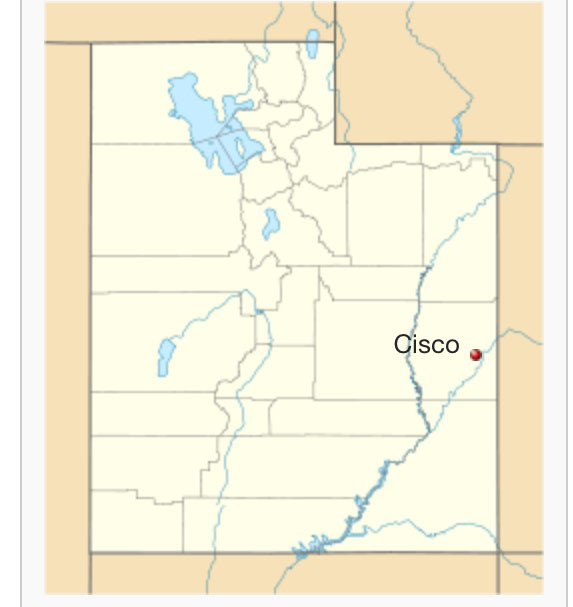 We passed by a ghost town called Cisco, Utah – former 2,000-resident uranium mining town with its heyday in the early 1900’s that’s now become nothing more than a handful of decrepit wooden buildings and three (3) residents. Our conductor mentioned that even the buildings that do remain are slowly being torn down by residents as a source of firewood. 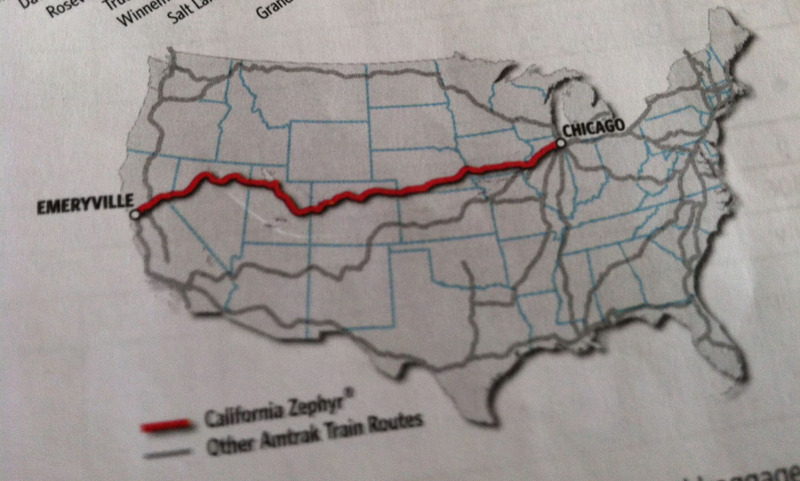 I made a mental note that I need to return to that place when the Legend or ILX when I’ve got some time to spare and feel like trekking to the Colorado/Utah border. More on Cisco here. 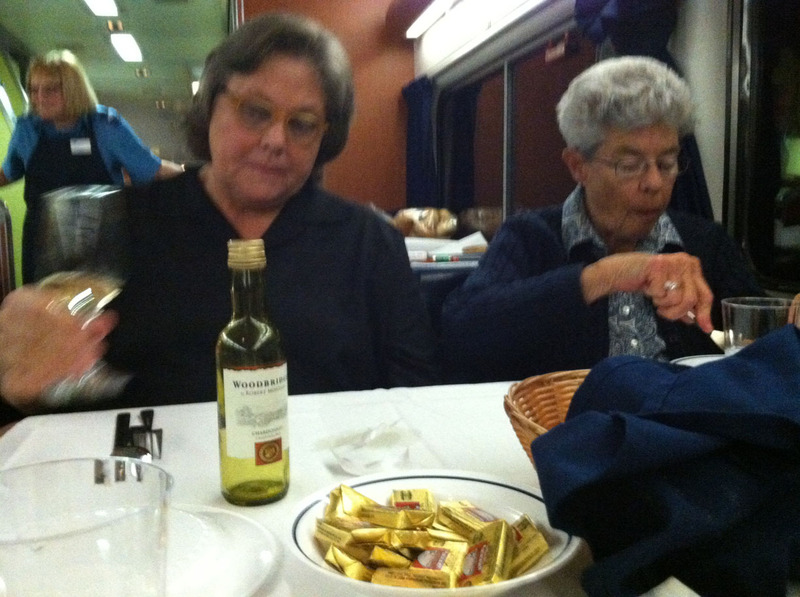 Dinner reservations were at 5:30 p.m. and again we were joined by Claudia, but also met another new friend – Peggy who was on her way from Denver, CO to Davis, CA to visit her daughter for the holidays. 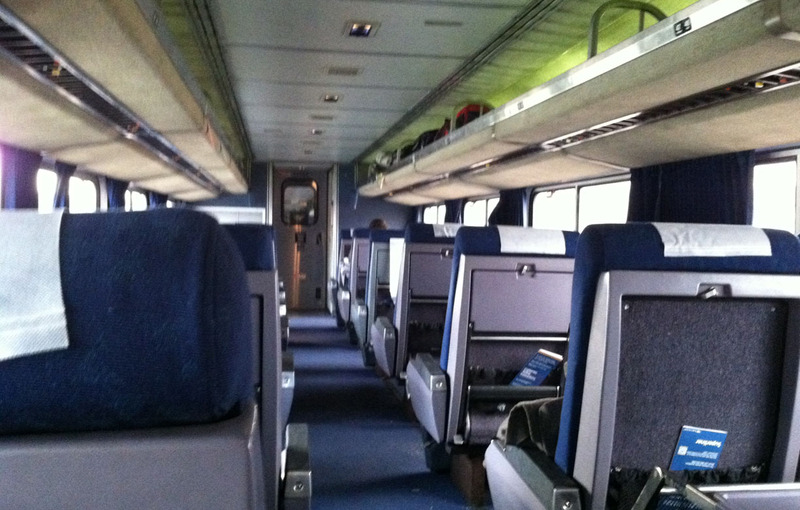 The next several hours were relaxing as the lounge car cleared out from the earlier hustle & bustle. The “observation” windows don’t hold nearly as much allure when there’s nothing to view through them except pitch blackness. But I enjoyed the peace and quiet. 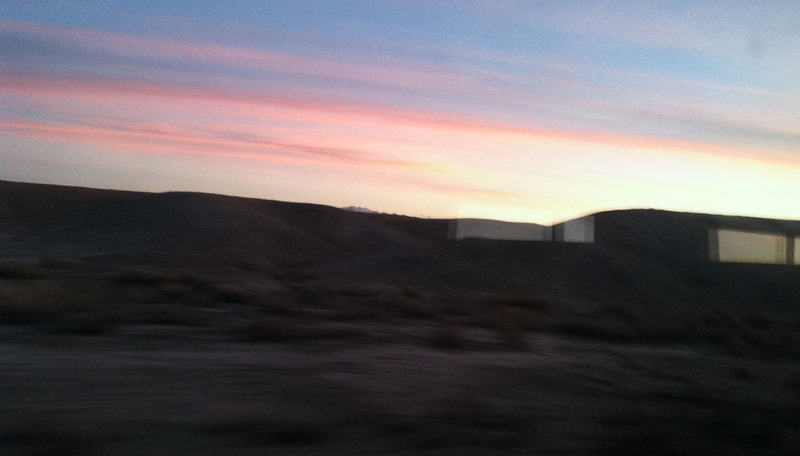 We arrived in Salt Lake 30 minutes ahead of schedule! All in all a great trip. The rest of the weekend was filled with family and friends in northern Utah. 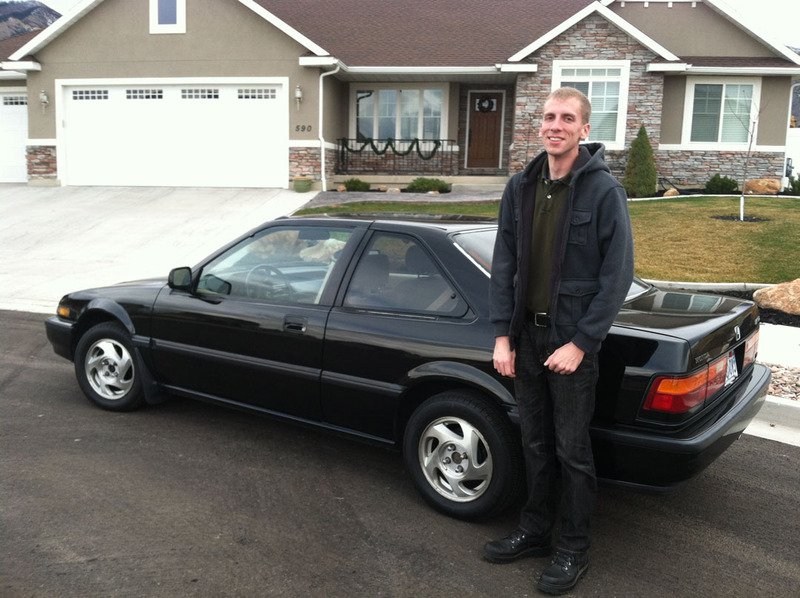 Many thanks are due to my good friend Tyler who shuttled us the 80 miles from Salt Lake City to Logan, Utah in his 1989 Honda Accord LX-I coupe. Tyler’s old Honda has only 96,700 miles on the odometer and is truly a time capsule. It looks and rides amazingly for its age, and that’s due in large part to Tyler’s watchful care. Bonus points to anyone who can identify this “period correct” song we were jamming out to in Tyler’s coupe. Hot cocoa for all. This is something I don’t often indulge in when I’m in Phoenix. It’s just too warm for that! After a viewing of Christmas Vacation at my mom’s place (and competing with her to quote just about every line!) it was time for a party with my dad’s side of the family. 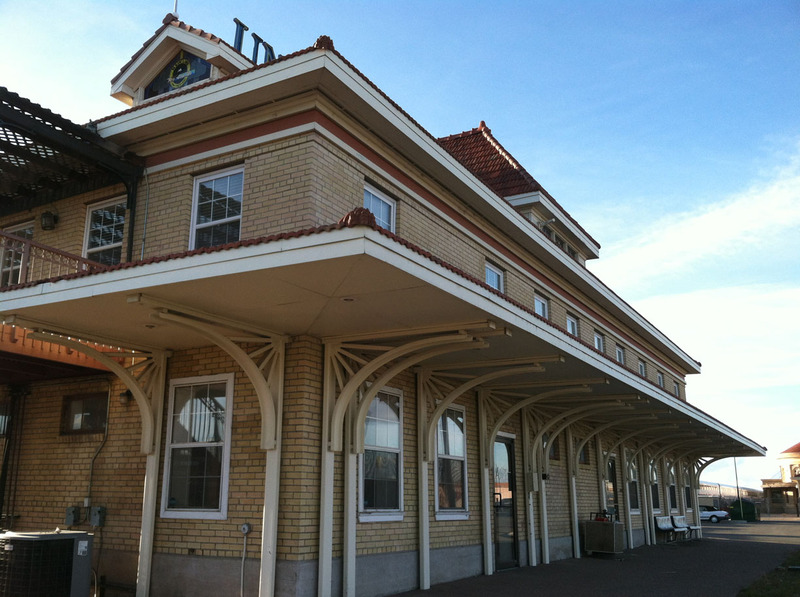 The location for the party was Herm’s Inn – a now-restored building that was at one time a gas station at the mouth of Logan Canyon but now serves as a restaurant. The building once lied on the main highway that’s since been bypassed by a larger, wider one to the north. 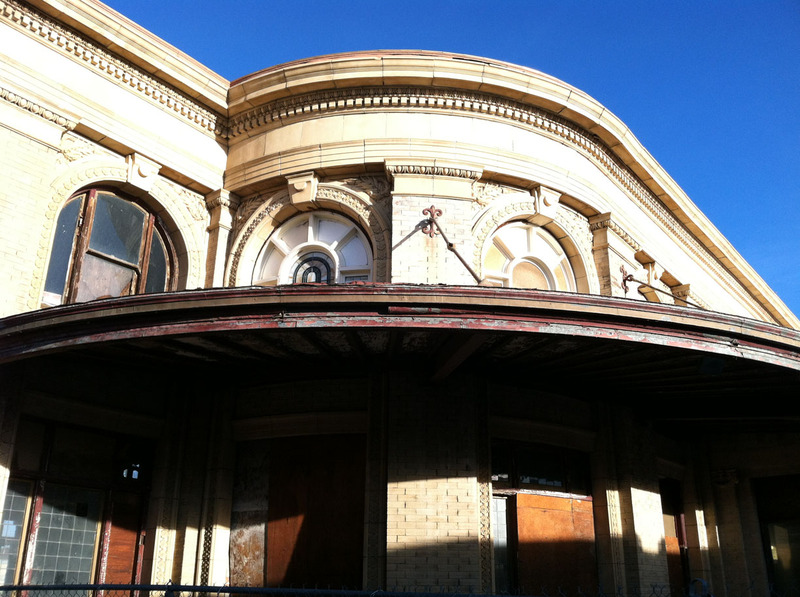 It sat vacant for decades until opening just a year or two as a restaurant. 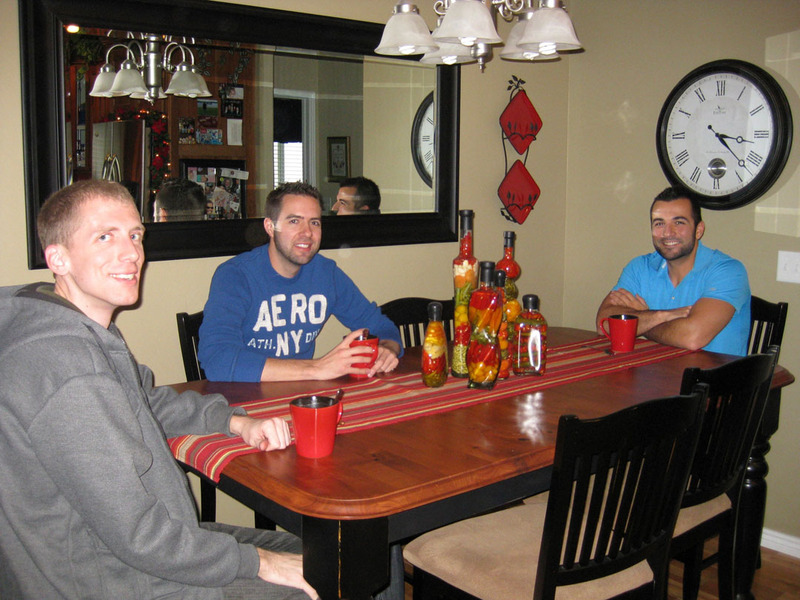 It was a great evening to spend with my cousins and other extended family who I sometimes only see once or twice a year. 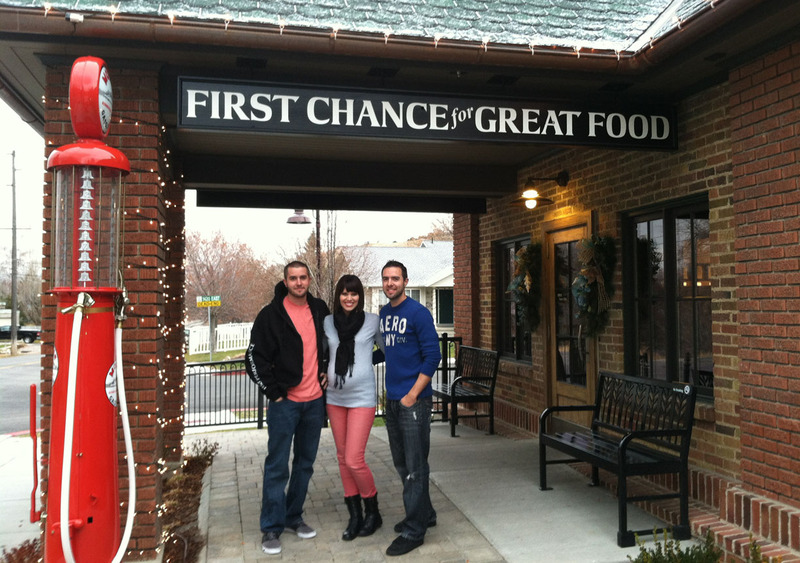 Here I am pictured with my brother Payton and sister-in-law Kali. 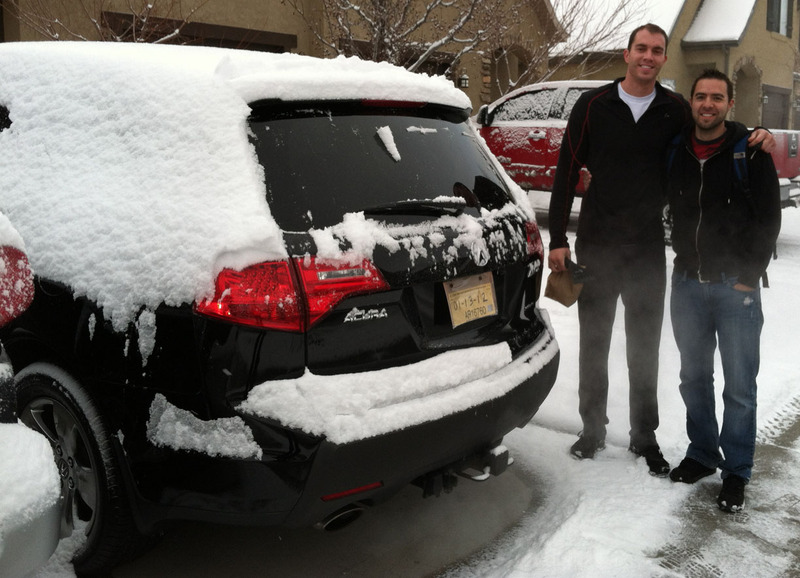 Airport shuttle for today’s Salt Lake City – Phoenix flight was provided by Acura – my friend Jeremy’s Acura MDX, that is. His 2007 with the Sport package and 93,000 miles is equipped with more gadgets and gizmos than I’d know what to do with. 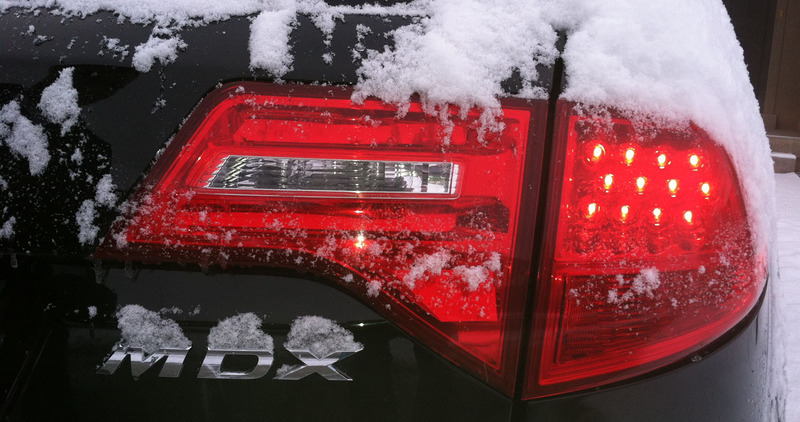 The SLC area got a dusting of snowfall last night and my favorite feature on the MDX was the heated (and individually climate-controlled) rear seat. 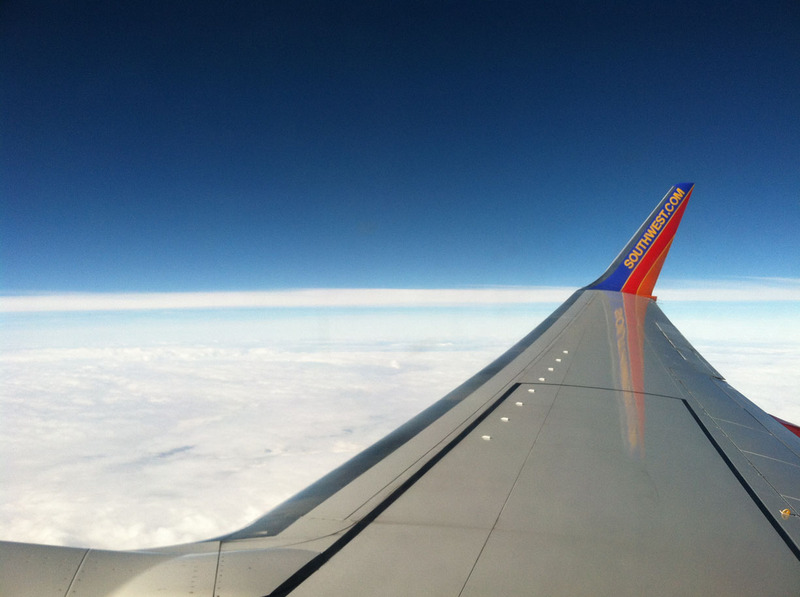 And last but not least, a window seat on Southwest for my return to the desert. Exhausted yet smiling from all the great memories from the weekend. 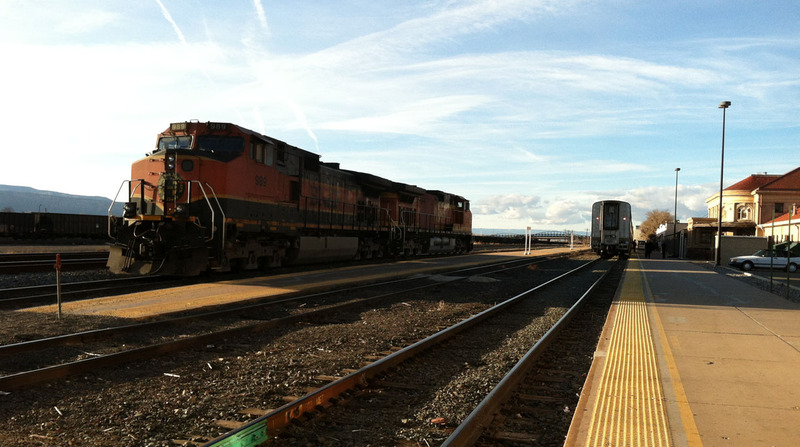 This entry was posted on December 9, 2012 at 5:28 pm and is filed under Trains. You can follow any responses to this entry through the RSS 2.0 feed. You can leave a response, or trackback from your own site. That scenery is stunning, the Rockies must be absolutely beautiful this time of year. Samuel, I think the Rockies are gorgeous at any time of year but they are especially nice right now as winter starts to descend on them. It was nice to be out of the driver’s seat for a change this weekend and let someone else lug me around. 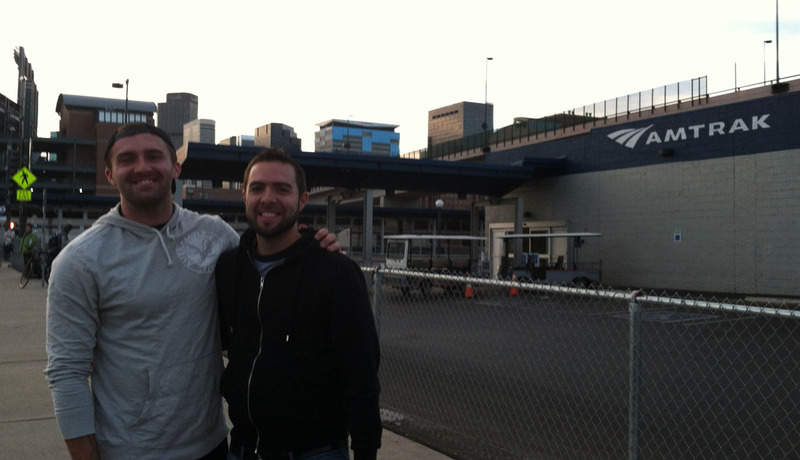 Thanks for reading about the trip – hope you had a great weekend too. What a journey! I am glad to have been a part of it… Your blog is one of the best on the web. Yes thank you for being a part of this journey, prior journey, and future journeys. Here’s to the next. Sounds like a great trip! 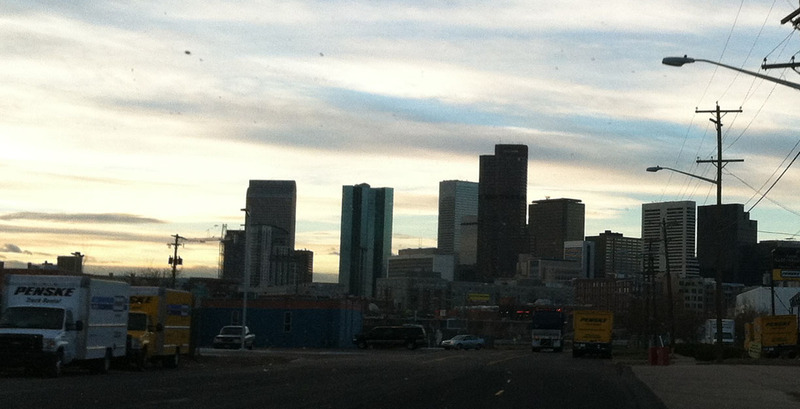 It’s strange seeing I70 from that angle(I kinda recognize the stretch, driven on it a few times). Definitely a fun Interstate stretch, though you have to be careful of everyone flying along at well above the speed limit. Your friend’s Accord brings back memories. My first Honda product was an ’88 LX sedan, purchased from the original owner with 175K on it. Never had a single problem with it the entire time I owned it. Sold it to pay for my KA8. Still chugging along the day it went away with about 190K. Awesome car. 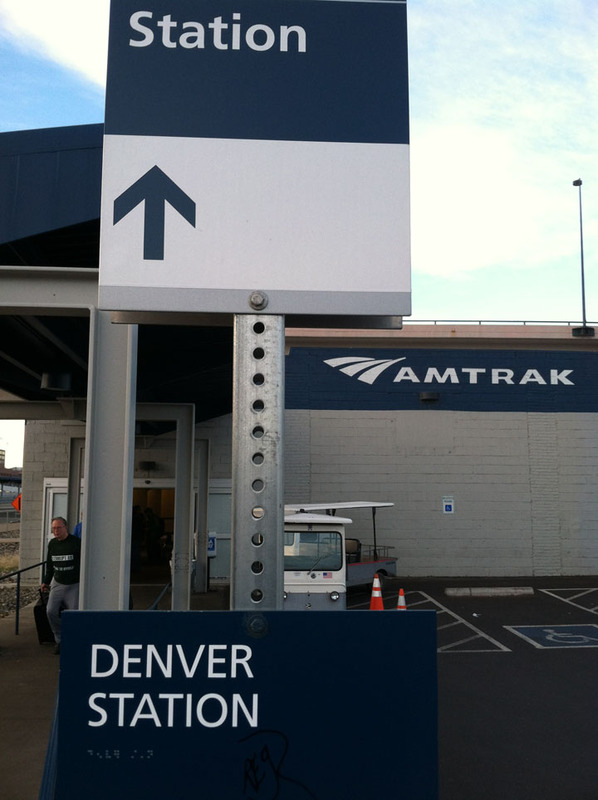 Adam, yeah I thought about reaching out to you for a meet-up this trip but we got to Denver at 10 p.m. on Thursday and by 8:05 the following morning we were boarding the train to head back out. 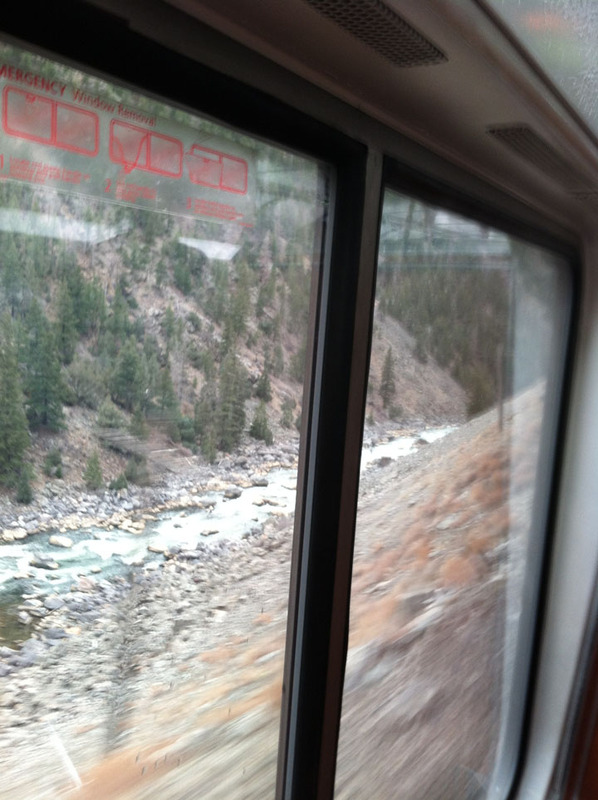 Train ride was a blast – well worth the $75 one way fare. That did look like a really fun stretch of I-70. And those old Accords are classic! It made me miss my pop-up headlights 1989 Prelude Si. Tyler’s taken great care of his LX-i. Hope your holiday season’s going well!! 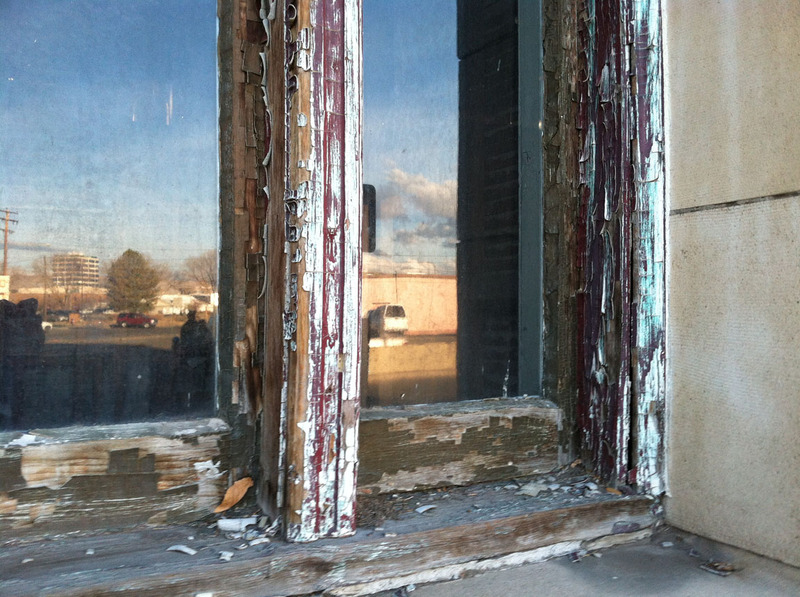 I stopped in Green River last year on the way to Colorado, it’s a perfect stage for a horror movie. Looks like an awesome time, guys! 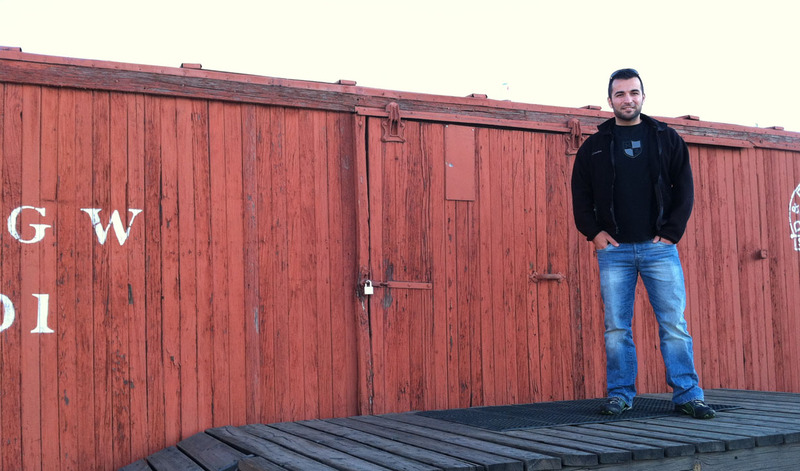 Sometimes those sketchy looking places are the most fun! 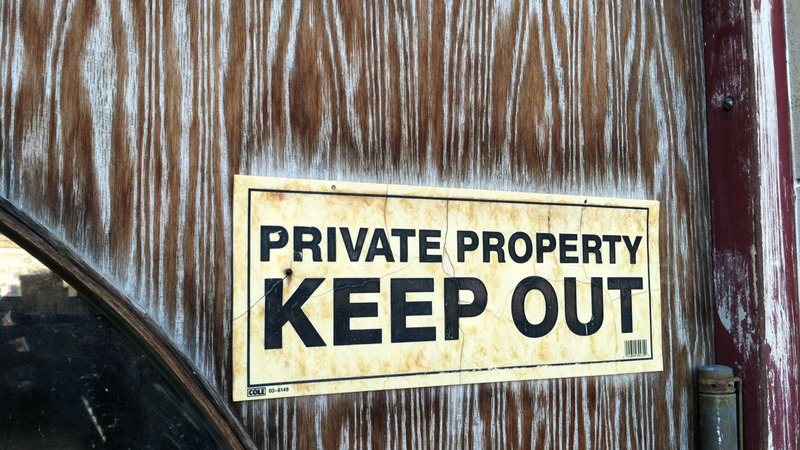 Thus the reasons I love poking around ghost towns and deserted buildings. Sign me up for that horror movie. Information Society–What’s on Your Mind? You win, Eric!! Great song for rocking out in a great car. I’m a huge 80’s fan. Let me know if you have any recommendations.